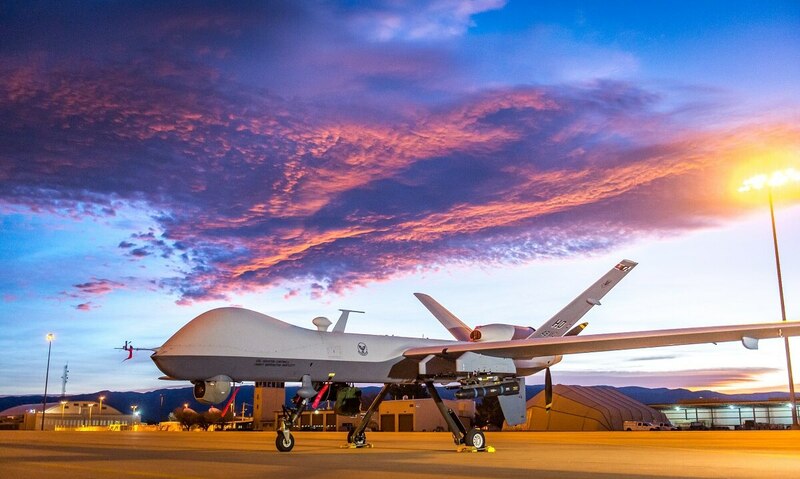 POZNAN, Poland — The Air Force’s ambitious new ISR strategy calls for a sensing grid that fuses together data from legacy platforms like the RQ-4 Global Hawk, emerging technologies like swarming drones, other services' platforms and publicly available information. And deciphering all of that data will be artificial intelligence. Such a system may sound like something out of a sci-fi book, but the service believes it could be in service by 2028. In a July 31 interview, Lt. Gen. VeraLinn “Dash” Jamieson, the Air Force’s deputy chief of staff for ISR, explained the Air Force’s new “Next Generation ISR Dominance Flight Plan,” which lays out the service’s intelligence, surveillance and reconnaissance goals for the next 10 years. In the past, “when we fielded a sensor, we fielded a sensor to answer a question,” Jamieson said. What the ISR flight plan tries to accomplish is far more extensive: “How do I get the data so I can fuse it, look at it and then ask the right questions from the data to reveal what trends are out there?" Top Air Force intel officer: In AI, if you’re not first, you’re last. The Air Force is recognizing the need to harness the power of automation to outpace advancing threats. The flight plan itself is classified, as are most of the specifics regarding what the Air Force will develop, test, field and when, but Jamieson said the service is working under a “very aggressive framework” with milestones and deliverables to match. “The Russians and the Chinese — the Chinese especially — have just stolen our intellectual property, and that’s a part of why we’re in this great power competition that we’re in. I don’t want to give them anything that’s going to tip off what we’re doing,” she explained. The flight plan includes 10 annexes in areas such as machine intelligence — a catch-all for tech like artificial intelligence, automation and human-machine teaming; software development and prototyping; high-altitude reconnaissance platforms; publicly available information; ISR for and from space; ISR for and from cyber; human capital, which examine how to develop the next-generation of ISR professionals; and partnerships with industry, other U.S. military services, academia and international partners. As part of the flight plan, the Air Force examined what types of platforms it needs in the future — much of which is classified. A “balanced portfolio” of penetrating, stand-off and persistent capabilities will be required, and everything from swarming, miniature or autonomous drones, space-based sensors, hypersonics, or even smart weapons could be part of the future ISR grid, Jamieson said. However, the service wants to keep its options open at the moment. “You really do have to look at what technologies are real today and which technologies are really going to be there for tomorrow,” she said. More important than those new pieces of hardware is the data that they could provide and how it could be used in new ways, with AI reducing the workload of airmen conducting the ISR mission, Jamieson said. One of the first steps the Air Force took in its ISR flight plan to enable that was to create a data strategy that laid out standards around how the service will exploit, access, and secure its data. “If you are not first in developing artificial intelligence and the means to employ — with structured data, with the infrastructure to support that, with a multi-cloud approach — you’re going to be last because catch up in this arena with disruptive technologies, it’s too hard and it’s too fast,” she said. The Air Force envisions industry as a major enabler of its next-generation ISR infrastructure, with the service owning the data rights and tech companies partnered with it to build software and algorithms. However, even that balance could shift in the future, as a younger generation of airmen join the service with more software coding knowledge and a deeper comfort with computers. For instance, airmen at the 480th ISR Wing built a simulator from scratch after realizing that a video game popular among the wing actually incorporated a number of valuable skills — from collecting and analyzing information quickly to targeting an adversary, she said. The service also sees a major opportunity to cull publicly available information on social media or news sites, which Jamieson acknowledges has not always been effectively used by the Air Force for intelligence purposes.